I must say the pattern is well written and easy to follow. 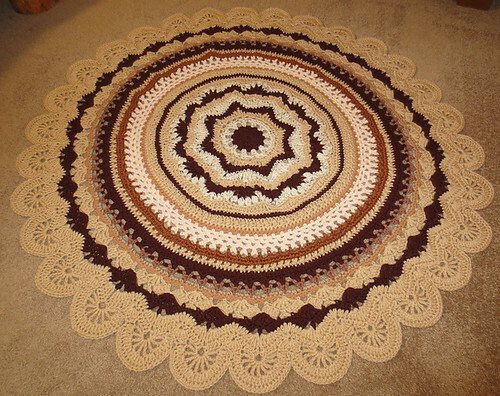 I mainly used scrap tans and brown yarn to crochet the lapghan. This was a fun and interesting pattern to work. The only row I had trouble with was row 14. Just FYI for row 14: Sc’s are at the top of the ridge and tall stitches in the valley of each set. I did lightly block the blanket after I was finished. 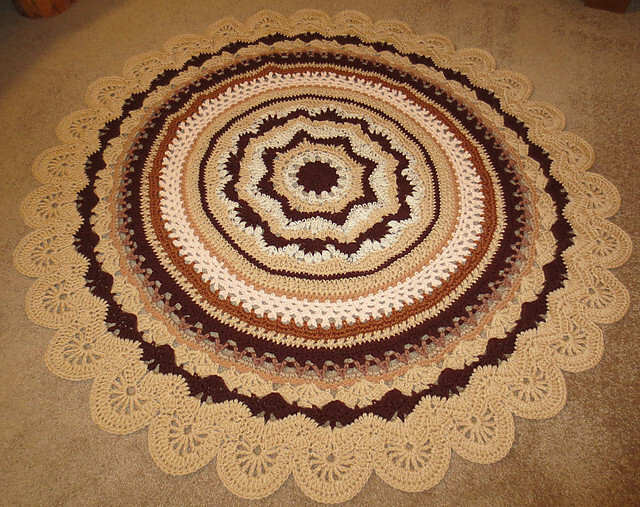 Even before blocking, it laid fairly flat. After blocking it lays very flat and looks great. 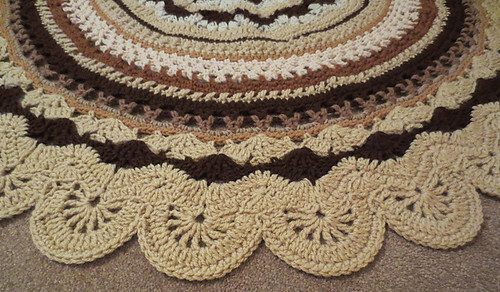 Overall I loved working this pattern and plan to crochet the pattern again for a baby blanket. It turned out great, Cindy!